When was the last time you succeeded in reaching your goals? 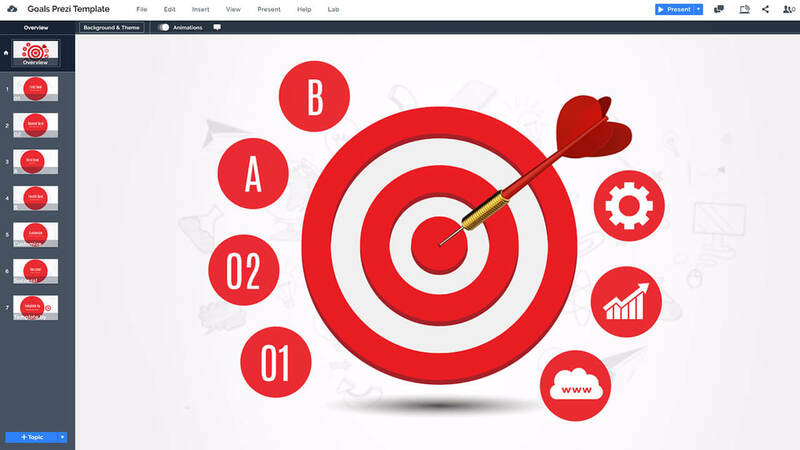 Prezi Next presentation template with a classical red dart board theme. 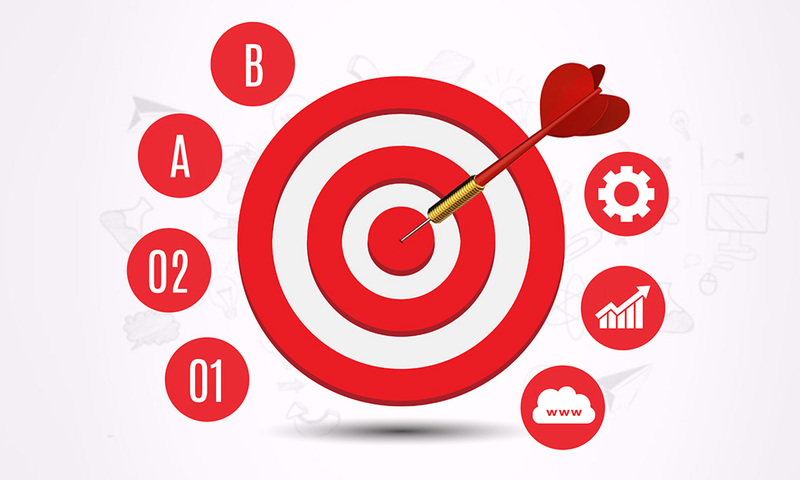 Present your goals and targets on a red bullseye symbol. Zoom into the topic circles and present about your future goals, business targets or the deadlines in your next project. The presentation starts with a large bullseye target symbol in the middle, surrounded by red topic circles and a dart in the center of the board. The light gray background also features hand drawn sketch icons which illustrate work in progress. Advance the presentation by zooming into the topics one by one in a clockwise movement around the bullseye. Change the numbers and icons on the topic covers with symbols more suitable for your topic or simply use text headlines. Easily add more topics around the target and create more slides. Pick up the dart and this time it’s your turn to hit the bullseye! The red target concept is so wide-spread that if you wish to present about goals then you can’t go wrong with this template. You can use the concept in a marketing presentation to define the targets of an ad campaign, or in a business pitch to predict the sales revenue. So even if you don’t hit the bullseye every time, it’s still okay, just be sure you don’t miss the board and hit the guy standing next to you. This entry was posted in Best Prezi presentation templates, Prezi Next Templates and tagged bullseye, bullseye powerpoint template free, bullseye presentation template, creative targets presentation, darts, goal setting powerpoint template free, goal setting presentation template, goals, goals format presentation, goals powerpoint template free, goals presentation, goals presentation template, hit targets, powerpoint bullseye diagram template, prezi next template, prezi next templates, red circle, smart goals powerpoint template free download, targets.